Fighters of the Purple Rage: A hard-hitting bounty hunt that pits the characters against battle-hardened escaped gladiators. It's a dangerous chase through the Megalos underground . . . who will survive? Lost Inheritance: A magical trip into the Darkland – a place of strange creatures and untold dangers. Will the PCs find the inheritance and collect the reward? Or will they fall to darkhounds or the obsessed apprentice mage? Sahudese Fire Drill: Tired of the same old adventures? Here's a change of pace. Babysit a hundred screaming Sahudese while their clan leader visits Megalos to make a silk deal. All the players have to do is keep them healthy and happy – while they turn the city upside-down . . .
Mordag's Little Finger: It's time to visit the Bad Side of Town. In this adventure, the party attempts to track down a clever master thief through the back alleys of the worst neighborhood in the city – Northside, where a meeting could get you choice information . . . or land you in the morgue. Full stats and descriptions of several new creatures, ranging from the friendly to the gruesome. Further adventure seeds for each scenario, so the action can continue as long as you want. 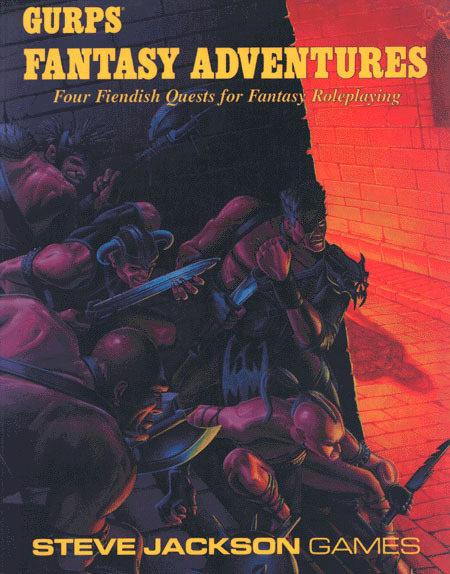 Suggestions for adapting these adventures to ongoing campaigns or even different game systems. Buy each of the adventures from this book separately on e23!